Windows 10’s version 1803 (April 2018 Update) is the fifth major refresh that Microsoft is rolling out starting April 30, 2018. However, even though, the new version may be ready for general use, you want to prepare before going through the upgrade process to avoid errors and problems. Although it’s recommended to install new updates to keep your computer secured and to access the new features and improvements, big updates, such as the Windows 10 April 2018 Update, aren’t your typical quality updates that Microsoft makes available every other month. The April 2018 Update is a brand-new version of Windows 10 that requires a full installation, which sometimes can go wrong for a number of reasons. In addition, during the early days, you’re expected to come across errors and unknown bugs depending on your system configuration. In this guide, you’ll learn several steps to avoid problems and errors during the installation of the Windows 10 April 2018 Update (version 1803). While there are a number of ways to install a new version of Windows 10, it’s always best to wait until it’s offered to you automatically through Windows Update to avoid problems. Usually, it’s because during the first few months big updates aren’t fully compatible with all hardware configurations, and Microsoft in purpose blocks the update on devices that knows it’ll cause issues. In other words, if your computer isn’t getting the update automatically, there’s probably a good reason. Furthermore, if you use the Media Creation Tool or Update Assistant to force the upgrade you’re most likely to come across unexpected compatibility issues and errors. The best advice is not rush to download and install the version 1803 on your PC, just wait patiently as you’ll eventually get it. If you really can’t wait, use the following tips to minimize the chances of problems and errors trying to install the new feature update. A recovery plan is crucial. 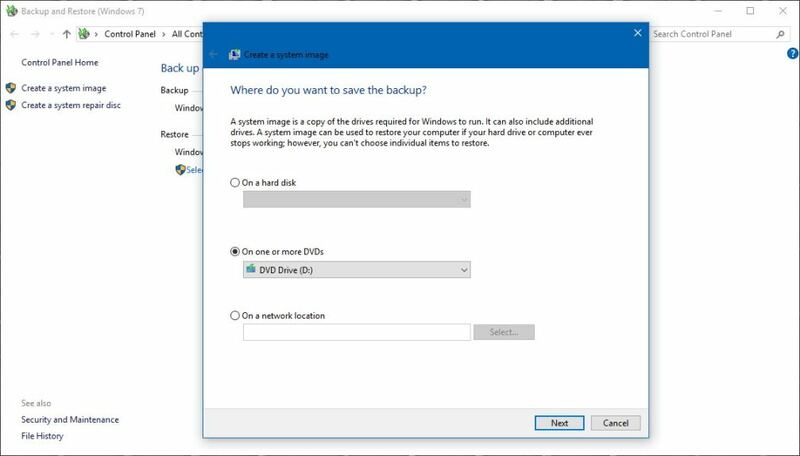 Before making any significant changes to your device, you should always spend the extra time to create a full backup of your computer with the current installation, settings, apps, and files in case things go wrong and you need to rollback. Perhaps one of the most common problem trying to install a new version of Windows 10 is not enough available storage space to complete the upgrade, which triggers at least three error messages, including 0x80070070 – 0x50011, 0x80070070 – 0x50012, or 0x80070070 – 0x60000. Oftentimes, storage availability is more of a problem on devices with limited storage capacity and older computers. You can avoid this problem by making sure your device has at least 20GB of available space for file download and installation. After the installation, you can reclaim space using this guide. Sometimes, Windows 10 might “accidentally” reset some of your settings, such as privacy and default apps configurations, during the upgrade process. 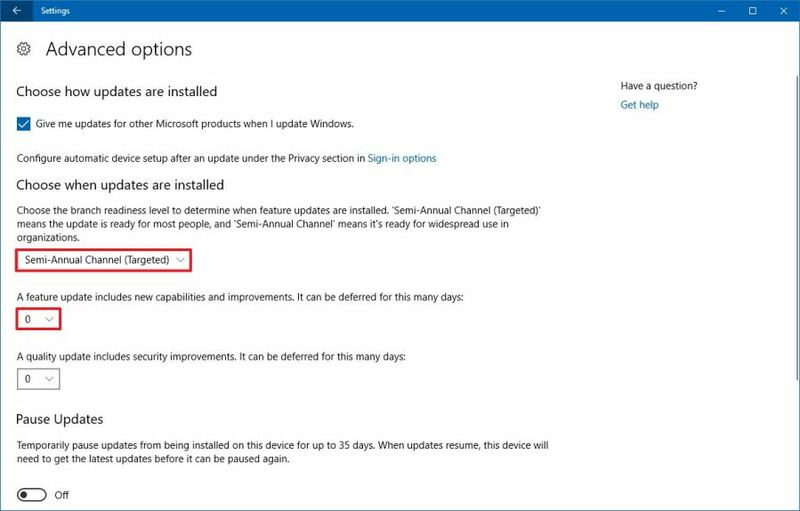 If you’ve personalized an installation with a particular configuration, you should record your settings before installing a feature update, in case some of your configurations get reset, and you need to get them back. Incompatible devices connected to your device, such as printers, cameras, especially storage media (such as USB flash drives and external hard drives), can cause errors and other problems during an installation. In order to prevent issues consider disconnecting all the peripherals connected to your computer. You only need a network connection, monitor, keyboard and mouse. If you have a Bluetooth adapter, it’s also a good idea to disable it before going through the upgrade. Just go to Settings> Devices > Bluetooth & other devices, and turn off the Bluetooth toggle switch. Security programs sometimes the main reason the installation fails. If you’re running an antivirus (other than Windows Defender Antivirus), or other security software, you should disable or temporarily uninstall them before the upgrade to version 1803. The quickest way to uninstall apps on Windows 10 is on Settings > Apps > Apps & features select the app, clickUninstall button, and follow the on-screen directions. Older programs designed for an older version of Windows can also cause compatibility problems. Before proceeding with the installation, make sure to uninstall any software that may cause issues during the installation. You can always reinstall them later. Although Windows Update is a reliable mechanism to download updates, sometimes, it may not work as expected, and the reason could be your device is not receiving the new feature update of Windows 10. You can always try to reset the Windows Update components to fix stuck updates trying to download and install. If this doesn’t fix the problem, you should use the Update Assistant tool to install the Windows 10 April 2018 Update after it becomes available. Also, it could happen that your device is configured to defer Windows 10 upgrades. If this is the case, the April 2018 Update won’t download and install on your device. You can address this problem on Settings > Update & Security > Windows Update > Advanced options, and make sure under “Choose when updates are installed,” to select Semi-Annual Channel (Targeted) and set the number of days to defer feature updates to zero. Additionally turn off the Pause Updates toggle switch if enabled. If you used Group Policy to defer upgrades, you can refer to this guide to undo the changes. 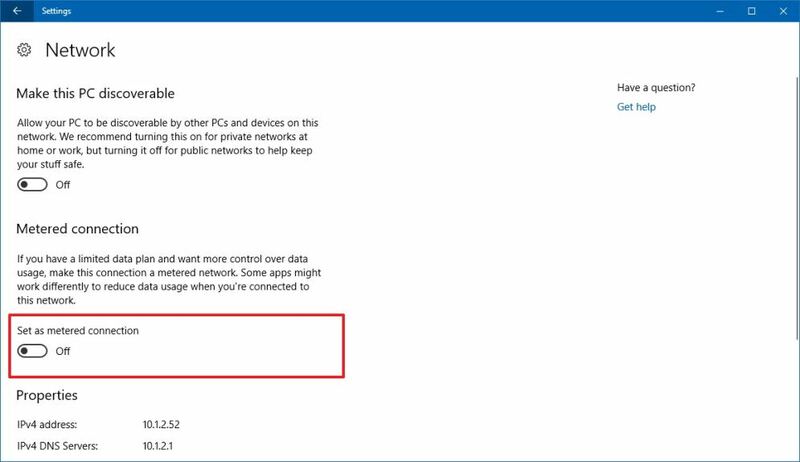 Using a metered connection will also prevent the Windows 10 April 2018 Update (version 1803) from installing on your desktop, laptop, or tablet. If you have your Wi-Fi or Ethernet (wired) connection configured as metered, you can remove this block on Settings > Network & Internet > Wi-Fi, select the network, and turn off the Set as metered connectiontoggle switch. On an Ethernet connection go to Settings > Network & Internet > Ethernet, select the adapter, and turn off the Set as metered connection toggle switch. Although you can prepare in a number of ways, there’s always a possibility of errors during the upgrade to a new version for Windows 10. If you’re having problems, especially during the early days, chances are that you’re not the only one with the same issue. The best thing you can do is to note the error message and search online for the fix or workaround. If it’s a known issue, Microsoft usually will publish the problem, status, and timeframe for a permanent fix. Alongside an expected errors and bugs hidden in the Windows 10 version 1803, there are a number of well-known problems (that are not considered bugs) that can occur during the upgrade process. For instance, an error code that begins with 0xC1900101 (e.g., 0xC1900101 – 0x20004, 0xC1900101 – 0x2000c, 0xC1900101 – 0x20017, 0xC1900101 – 0x30018, 0xC1900101 – 0x3000D, 0xC1900101 – 0x4000D, 0xC1900101 – 0x40017) is usually a device driver error. If you see error 0xC1900208 – 0x4000C, it means that an app is incompatible with the upgrade. Another common error code is 0x80070070 – 0x50011 (0x50012 or 0x60000) which typically means that there isn’t enough space on your device to complete the update. 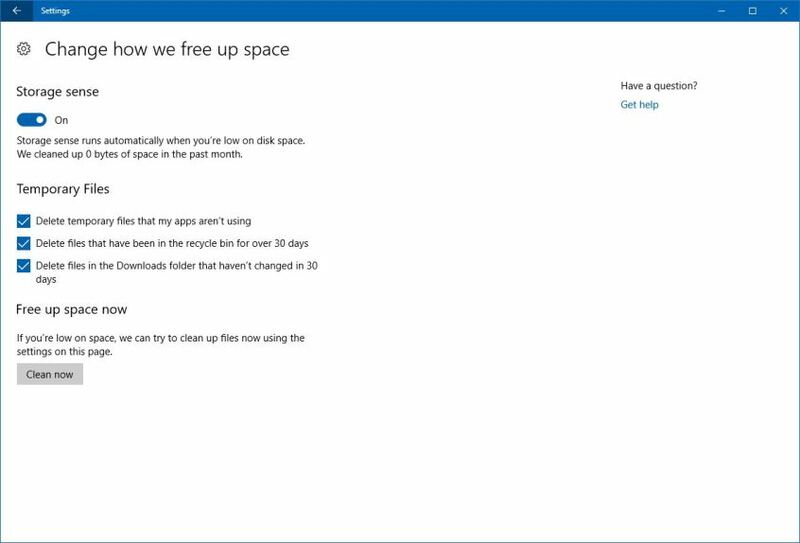 Assuming it’s not a bug with the new version, the best way to avoid problems during an upgrade is to perform a clean installation of Windows 10 with the April 2018 Update, and then reinstall your application, re-apply your settings, and restore your files from backup. When the April 2018 Update becomes available at the end of April 2018, instead of doing a clean installation, you can also try an in-place upgrade using the Media Creation Tool which will keep your apps, settings, and files. 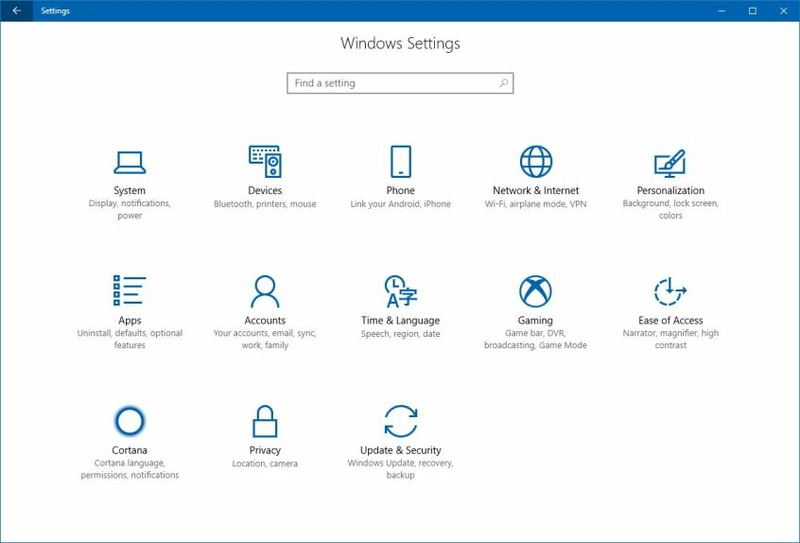 After the setup begins with the upgrade process, your device will install the new version of Windows 10 keeping all your settings, apps, and files. If you’re not ready to make the leap to the Windows 10 April 2018 Update (version 1803), remember that you can defer feature updates until a later time — or use this guide to roll back to the previous version of the OS. In the case that you see any errors or issues installing the new feature update, you can use the Pureinfotech forums to ask questions and seek help. Update May 4, 2018: Microsoft has acknowledged some applications, including Google Chrome, Cortana, and Office may hang or freeze your computer. According to the company a fix is coming on May 8. Try a Windows key sequence to wake the screen. If you have a keyboard connected, simultaneously press the Windows logo key + Ctrl + Shift + B. If you’re on a tablet, simultaneously press both the volume-up and volume-down buttons, three times within 2 seconds. If Windows is responsive, a short beep will sound and the screen will blink or dim while Windows attempts to refresh the screen. If you’re using a laptop, close and open the laptop lid. As a result, Microsoft is currently blocking these models from installing the update due to a known incompatibility, which may cause these devices to display a black screen after resuming from battery saver mode. The company is currently working on a permanent fix, and once released, these devices will get the update automatically through Windows Update. Update May 14, 2018: Microsoft has confirmed that select devices with Intel SSD 600p Series or Intel SSD Pro 6000p Series may crash and enter a UEFI screen after restart. Also, the company says that some Toshiba SSDs, including the Toshiba XG5 Series or Toshiba BG3 Series are currently affecting battery performance. If you have device using any of these Solid-State Drives (SSDs), the company is blocking the April 2018 Update until a permanent solution is released. If your problem does not solved or if you have another problem related to the windows or any of the Microsoft Products. Microsoft is the world’s famous developer of PC software. The organization is additionally working with creating and offering PCs, shopper gadgets, and other device services. When you call our Microsoft Support Number, we guarantee you an outstanding experience every time. Call 1-800-279-1380 to speak with a Microsoft technical experts team and put all your PC Issue at ease. Our experts will give you dedicated technical support team whenever you call at Adobe Technical Support Number 1-855-272-4602. You can immediately contact on AVG customer service number for a fast guide in such conditions and let the tech experts do the case do for you. If you have any issue while using Yahoo email software. So, you can call our Yahoo support phone number 1-800-329-174. Our AVG technical support team will guide the user through the process of fixing the error by phone or by live chat. If you are searching for Yahoo Support Phone Number then you have just landed on the right place as here we are going to serve you all customer care, 24*7 Toll-Free Helpline number, customer care E Mail and Live Chat contact details. You can connect with Dell live customer support by making a call Dell customer support number 1-800-329-1530. We available for 24*7. Friends I am Hazel Zoey from New York. I am working with the technology company. If you have any issue related to any software & hardware like Dell, printer, laptop, and any other device. If you face any issue with Dell or Dell products then you can call our Dell support number 1-800-329-1530.they provide good solution for Dell issue. If you have any issue while using HP products like HP printer, HP laptop, HP scanner and much more. So, you can take help with HP customer support team by making a call HP support number 1-800-304-9126. We provide instant help and support for Dell issues. If in case, the paper is stuck into your HP printer and you are not able to get printers of your important documents, then you can contact to HP support number and get help to fix your printer. I am Glad seeing the writing skills and the knowledge of the writer keep posting such informative blogs more often. Great post, informative blog. You cover a good topic of this era. If you are already a user with Carbonite and looking for Technical Support on PC, then dial Carbonite Customer Service Number 1-800-385-7116 get help from experts. HP Support Assistant Help Number 1-800-319-0494 – An ultimate way to avail proficient services on computer and printers. Do not ignore an alert on your device, could make you pay bigger. Speak with us now for the betterment of your device. If your software is not responding on windows computer and crashing, then do not wait, call on this Quicken Windows Support Number 1-855-376-8777 and get the quality support assistance. Online If you forgot the password you use to sign in to services like Outlook.com, Skype, OneDrive, and Xbox Live you might need to reset it. Operating systems need to be updated regularly to fix bugs and close the security holes. The error Windows 10 update failed is now giving a heart attack to it users. When Windows 10 fails to get updated when the error codes like 0xa0000400, 0x80070057 and 0x80070005 are common. In that case, the upgrading process simply freezes and hence a message pops up saying Windows 10 update failed. 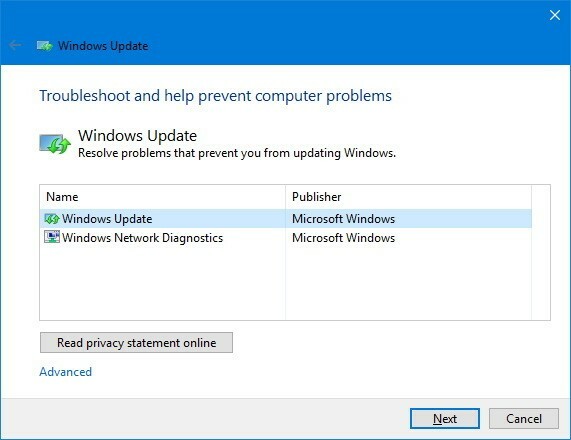 Microsoft’s Troubleshooter is the built-in Windows program that can help you fix the updates error in the simplest way. Step 1- Type Troubleshooting in the search box. Step 2- Once it gets open then select View all. Step 3- Select Windows Update option. Step 4- Click Next to continue. Step 5- Then click the Try troubleshooting as an administrator option (if applicable). Step 6- Select Windows Update option again. Microsoft, in a recent Windows 10 update, expanded the dark theme to also include all parts of File Explorer. The built-in dark mode changes your windows to black, and turns your text and icons to lighter colors, making everything look more like shadows. This helps when you want to do away with the glaring white and bright backgrounds from the operating system, as well as when using your PC in low light without straining your eyes. If you prefer to work with darker tones, or simply like the contrasting appearance afforded by dark mode, we’ll show you how to activate the feature with a few simple steps. Microsoft Support Enabling Windows dark mode - Microsoft Support To enable Dark Mode, go to Settings, by either by pressing the Windows key + I, typing it into the Windows search bar, or clicking the gear icon in the Start menu.